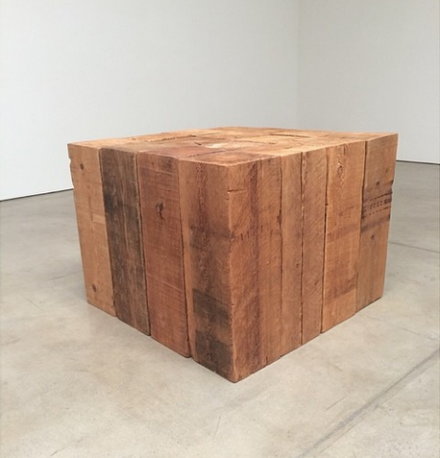 On view at The Paula Cooper Gallery in New York is an exhibition of major sculptures by Carl Andre from a period ranging over thirty years. 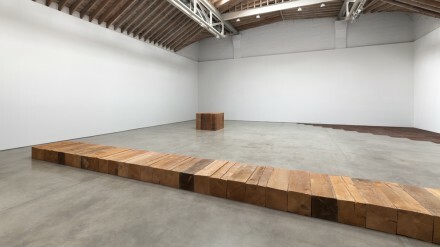 The exhibition coincides with the artist’s retrospective at Dia:Beacon, which is the first survey of Carl Andre’s entire body of work by a museum in North America since 1980. 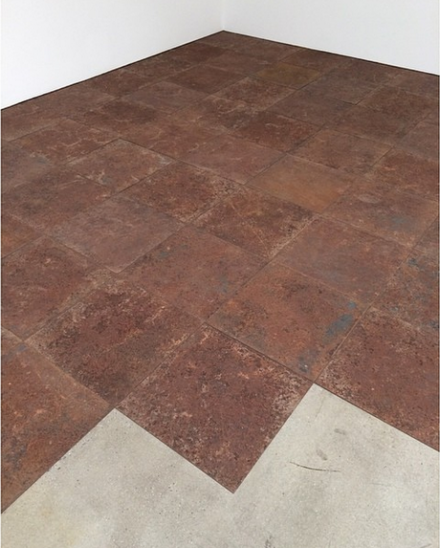 In his Isohedron works, 24 bricks made from Scottish red sandstone, which he gathered from a quarry in southern Scotland, are arranged in logical patterns. Since the bricks were formed millions of years ago, they show lines of light as a result of the sedimentation process. 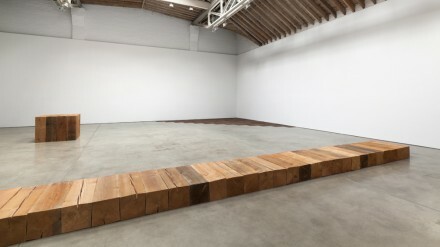 For Andre, the execution of his sculptures seems to merely provide an overture for the exploration of his materials, a simple arrangement of geometries intended to underline variations in grain, coloration, and even cracks or distortions on the wood, brick or steel. 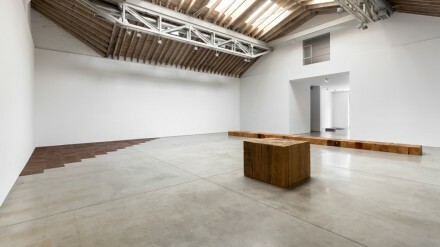 By simple arrangements, the pieces in turn become variations in landscape for the gallery itself. 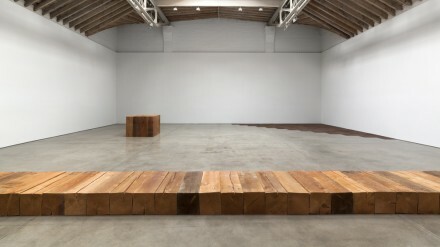 By prioritizing materials of construction in a non-specific context, Andre’s works are left suspended between a role in their alteration of the space around them (almost as architectural additions to the gallery), and a focus on the act/materials of construction themselves. 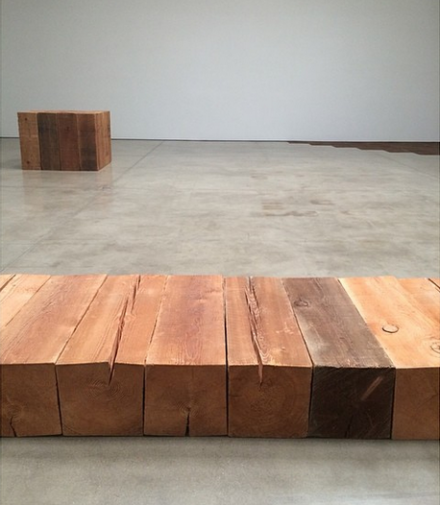 Carl Andre has been the subject of retrospectives at the Solomon R. Guggenheim Museum, New York (1970); the Laguna Gloria Art Museum, Austin (1978); the Whitechapel Art Gallery, London (1978); the Stedelijk Van Abbemuseum, Eindhoven (1987); the Haus Lange und Haus Esters, Krefeld (1996); the Kunstmuseum, Wolfsburg (1996); and the Musée Cantini, Marseilles (1997). Andre was born in Massachussetts in 1935, attended Kenyon College in Ohio, and currently lives in New York. 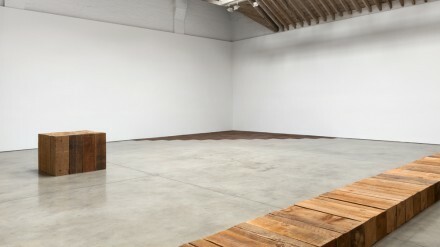 The exhibition will continue at Paula Cooper Gallery in New York through July 25, 2014. 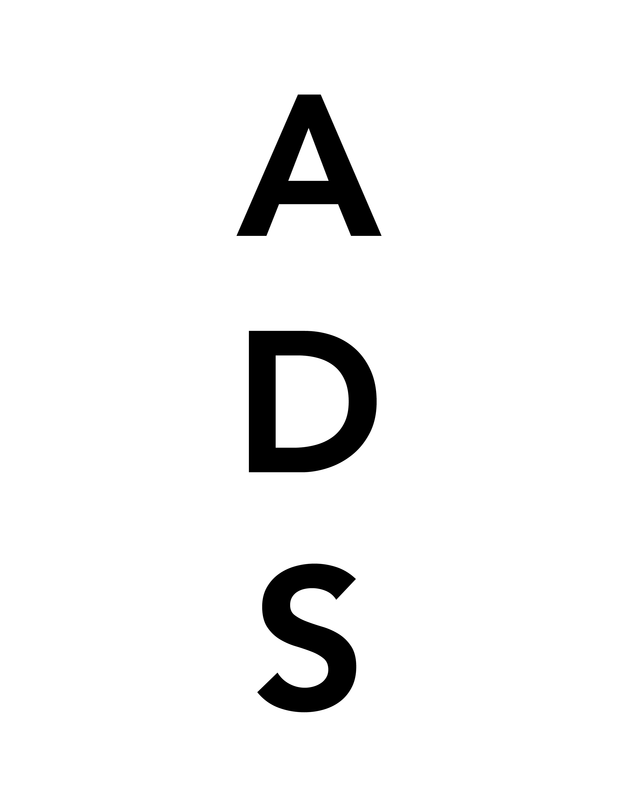 This entry was posted on Tuesday, July 22nd, 2014 at 12:00 am	and is filed under Art News. You can follow any responses to this entry through the RSS 2.0 feed. You can leave a response, or trackback from your own site.